Visit Sweden is the official tourism company of the Scandanavian nation. Global nature travel is growing, but Sweden risked losing visitors to nearby competition. Visit Sweden asked us to get more people to discover low-key experiences in the Swedish countryside. In an era defined by stress, we created ‘the Cabin Cure’ – a local recipe to a global health epidemic. ‘The Cabin Cure’ positions unimpressive but uniquely easy-to-access Swedish nature as a cure for stress, a global health epidemic. While other countries offer dramatic scenery and adventures, we turned the low-key simplicity of Swedish nature into an advantage. We proved that just 72 hours in nature could reduce stress – framing Sweden as the perfect escape for busy urbanites. 'The Cabin Cure' reached over 35 countries with an ROI of 3000%. Our custom-built cabins, valued at almost €70K, sold out within weeks to people in more than 10 countries. 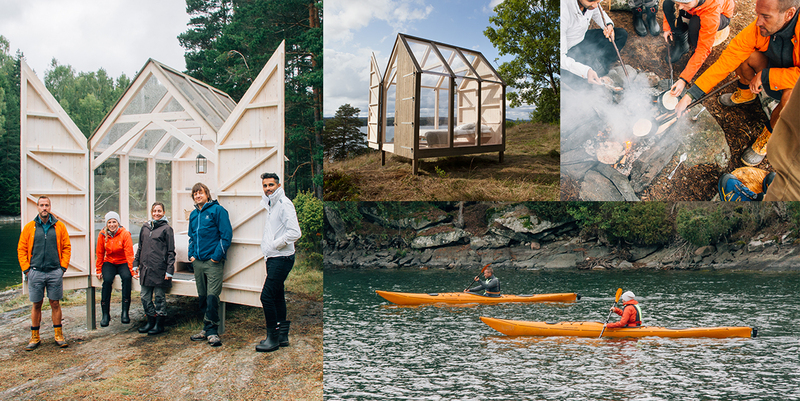 They have now been packaged into pre-fabricated mini-hotels any Swedish entrepreneur can set up. We didn’t just create buzz around Sweden as a nature destination – we helped develop it. DiGiorno: "The Power of Pizza"
Vibha Bakshi: "Daughters of Mother India"